Just because you need a small device does not mean that you can’t get something powerful. Companies like Xerox go out of their way to make machines that fit just about any business you can think of. Don’t settle on overspending on some large machine for no reason. If you need a small option that can deliver powerful results then the Xerox WorkCentre 6400 is the printer for you. This is a letter-sized, color, multifunction printer that can meet your needs without taking up the space. This can truly unleash the productivity of your office. 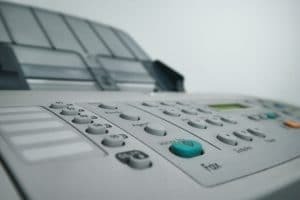 Xerox took their critical features from their large department multifunction printers and packaged them into an ultra-powerful letter-sized machine. This desktop device is made for sharing between large workgroups. It is advanced enough to handle a number of jobs at once. You no longer need to wait around for the previous job to finish. Now you can load another job right on top without having to wait. No more waiting around. The WorkCentre 6400 was made with ease in mind. The toner comes preloaded, to make supply replacement easier than ever. The WorkCentre 6400 comes with an easy access front door as well as email alerts to keep you updated on your supplies. This machine gives you the power you need without demanding a lot from your budget and your office. Give us a call today to learn more about getting a WorkCentre 6400 for your office.